It was in the mid-17th century that Louis XIV Minister in charge of the Navy, Jean Baptiste Colbert was charged with the task of finding a base from where the Atlantic coast could be defended against the English. 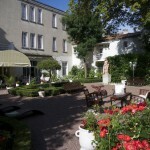 La Rochelle was not sufficiently sheltered and it soon became clear to him that Rochefort was the ideal place being slightly offshore. It was given added protection by the islands of Ré, Aix and Oléron all of which would be fairly easy to fortify. And so it was decided to turn Rochefort into a military port with a powerful arsenal and from 1666 onwards work began until by 1671 Rochefort had a population of 20,000. The original construction of the town was in wood but in 1688 on the orders of the naval governor Michel Bégon, the town was rebuilt in stone. By 1690 the maritime arsenal was probably the largest in France with 47 warships provisioned there between 1690 and 1800, 300 new vessels were launched into the waters of the Charente from the naval yards of Rochefort. Arsenal of Rochefort in 1690 – Musee Ernest Cognacq, personal photograph. 20 years ago a small group of people met to discuss the idea of reconstructing an exact replica of the frigate Hermione. Now the dream has become a reality and Hermione is complete (see photo left). 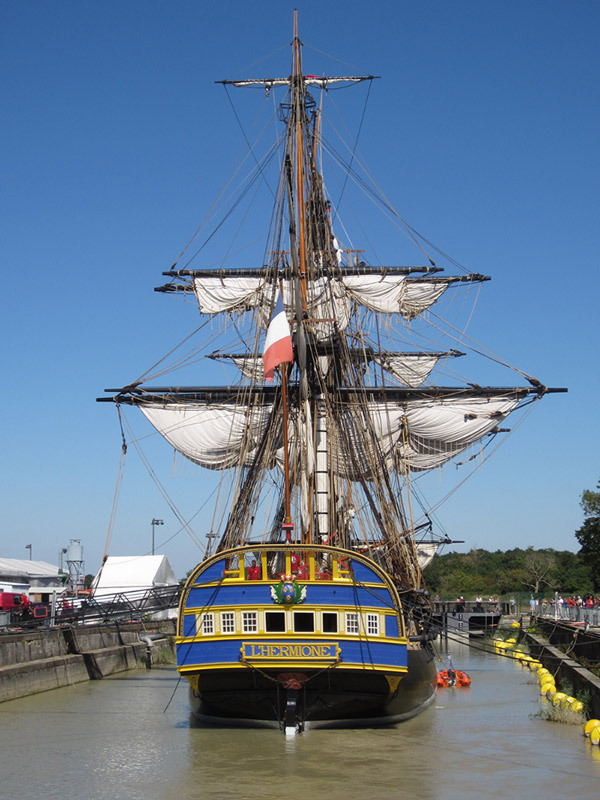 One of the most authentically built Tall Ships ever, the Hermione’s first voyage will take her across the Atlantic, launching an adventure that comes to the USA in the summer of 2015 and bringing to life the voyage made by Lafayette in 1780. For many it will re-affirm the historic relationship between the United States and France.